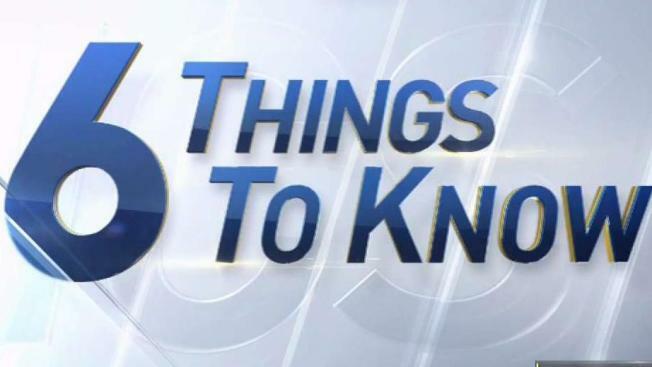 Dan Grossman has a look at the 6 things you need to know this Saturday. Here are the six things you need to know for Saturday, January 5th. Weather wise, a cold front is arriving in South Florida. We can expect some scattered showers this morning, cloudy skies in the afternoon and clear skies this evening. This cold front is not expected to have a significant impact on temperatures. A South Florida teacher is behind bars, accused of having sexual relations with his 14-year-old student. Diego Guzman, 30, is a teacher at Dr. Michael Krop Senior High. The two were found at an AirBnB in Wilton Manors. Flu season is starting to ramp up and health officials are urging people to get their flu shots if they haven’t already. 13 children have died from flu-related complications this season. The government continues to be partially shut down a day after President Trump met with congressional leaders. The impacts can be felt from Capitol Hill all the way to Florida. President Trump said the shutdown for months. Three men died and four others were injured at a shooting at a bowling alley in California. Police responded to calls of shots fired in Torrance, California at around midnight on Saturday and found multiple people injured with gunshot wounds. The No Rules II is finding there are rules after all. The one-time party boat and its owner are now paying the price. Seth Gissen, the boat’s owner, was sentenced Friday after pleading guilty to a federal charge for disobeying a direct order not to operate a charter boat. No. 6 – Ban on Smoking on Beaches? A Florida Senator is proposing a bill that would make it illegal to smoke on beaches statewide. If passed, it would take place in July.